Human Memory is weak so let me revive it! The news/editorial below was published in Daily Dawn and it was about The Former, then present, then former and now Present Group Editor of The News International [The Editorial Staff/Owners also think that The News and Jang Group of Newspapers are Anti-American and Prop Pakistan's alleged National Interests], the one and only Mr Shaheen Sehbai. We all know that Liars don’t have good Memory. Please keep one thing in mind while going through the article below that Mr Shaheen Sehbai had complained about the Falling Standards of The News International in 2002 [the standards fell when Mr Shaheen Sehbai resigned during Musharraf's Tenure in 2002] now standard of The News International is again risen since Mr Shaheen Sehbai has agin joined and now it can be compared with The New Yorker/ The Washington Post and The New York Times. Read and Lament as to how the Educated Pakistan play with the sentiments of those who read newspapers for news. Do read as to what another Seniot Journalist Late Khalid Hasan had to say about Shaheen Sehbai at the end. Also read The Washington Post as to how The News International and Shaheen Sehbai involved/linked Pakistan with Terrorists in 2002. Shaheen Sehbai should be ashamed of himself that after doing this he escaped and took self imposed asylum in USA, the same USA against whom he and his newspaper spitting venom. So Why the hell exile in USA, a country whose Legislative Bill [Kerry - Lugar Bill - State of Pakistan's Economy and Kerry Lugar Bill http://chagataikhan.blogspot.com/2009/10/state-of-pakistans-economy-and-kerry.html. TEXT OF KERRY LUGAR BILL URL: http://united4justice.wordpress.com/2009/10/08/kerry-lugar-bill-text/ Source: http://thomas.loc.gov/home/gpoxmlc111/s1707_es.xml URL: http://thomas.loc.gov/home/gpoxmlc111/s1707_es.xml#HD21CAA40FFF04D6A9295F70635912277] is so bad about Pakistan. Why not asylum in Dubai or any other Muslim country. 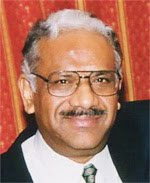 JOURNALIST Shaheen Sehbai, resigned as editor of The News on March 1 after serving the paper for about 14 moths. In a letter addressed to colleagues, Mr Sehbai, who earlier had a very distinguished career with Dawn, implied that the publisher had charged him with policy violations and professional misconduct to sack him under pressure from the military government. He enclosed a memorandum from the publisher alleging publication of libellous matter, alienating advertisers, failing to consult him on important matters, printing a story recently that was ‘perceived to be damaging to our national interest’ and elicited a severe reaction from the government, failing to contact ‘relevant government functionaries’ to discuss the issue, and being generally inaccessible to senior government officials as well his own staff. The memo also complained of a lack of improvement in the paper. Mr Sehbai said he had answered by recalling that the publisher had informed him of the government demand to sack four The News staffers, including the editor, and regretted that “you have decided to get in line.” He said he was aware that the government had stopped carrying advertisements in not only The News but also other papers of the group and that the publisher had been told that only the dismissals would result in their restoration. He claimed that he had been asked to contact the Inter-Services Intelligence officials but had refused on principal to call, or meet, any government official in a ‘hostage’ situation. On the other hand, he said, he had conveyed to the government the evidence that the paper’s policy had, in fact, been tilted in its favour. At least 50 editorials and over 100 articles published in about six weeks were cited to prove the point. The paper, he said, had at times gone out of its way to accommodate the government. But, Mr Sehbai said, he could not allow a newspaper he edited to become the voice of any government for monetary considerations. Dismissing “whatever other issues you have raised” as “childish and frivolous,” he said there was no point in discussing them. Recounting management problems, Mr Sehbai also mentioned the “legal jugglery” employed to deprive contract workers of salary increases and the refusal to renew their contracts. The episode was described in foreign media as a blow to claims of freedom of press in Pakistan. A spokesman for the government was said to have denied Mr Sehbai’s allegations. At The News, no replacement has since been named. In Washington we had formed a small group and regularly met at a restaurant that sort of replicated “Pak Tea House” of yesteryears of Lahore. Khalid was always at the centre stage of lively discussions on wide range of subjects there. In his dispatches to Pakistan, he called it “Kabab Masal” group after the name of the restaurant. We rotated chairmanship with every meeting. Several years ago when Shah Mahmood Qureshi came to Washington, it was Khalid’s turn to preside. He recalled his first meeting with him in Vienna while Qureshi was finance minister Punjab. “I had my gut reaction that he is a prime ministerial stuff”, Khalid said. Shaheen Sehbai mixed up this remark and attributed it to Qureshi himself in his report to Dawn. Qureshi was very upset and a clarification was made next day. I told Shaheen: “You have perhaps permanently destroyed Qureshi’s career in the PPP.’ When Ms.Bhutto named him as ARD’s candidate to the office in 2002, I recounted this episode to him in the presence of Nawabzada Nasrullah Khan. He was again in the reckoning when PPP won elections last year. AMHERST, Mass.–Nine days ago there was an alarming indication of upheaval in Pakistan — a crackdown on the press. According to the Committee to Protect Journalists, the government pressured the owner of an influential English language newspaper, the News, to fire four journalists. One of them, the paper’s editor, Shaheen Sehbai, said the trouble started after his newspaper reported a link between the prime suspect in the killing of Wall Street Journal reporter Daniel Pearl, and recent attacks on the Indian parliament in Delhi and in the Kashmiri capital, Srinagar. 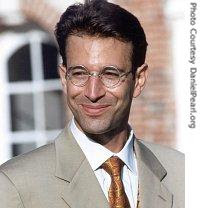 Daniel Pearl - South Asia Bureau Chief of the Wall Street Journal, was an American Jewish journalist who was kidnapped, tortured and murdered in Karachi, Pakistan in 2002. When Sehbai asked the paper’s owner to identify who wanted to sack them, Sehbai said he was told to see officials at the ISI, Pakistan’s Inter-Services Intelligence agency. Instead he resigned and left for the United States. Now read the words of Mr Shaheen Sehbai in the light of his suddenly found 'concerns for the National Security of Pakistan' in connection with the Conditions of Kerry-Lugar Bill. Do note his language against the Pakistani Military Establishment in 2002. Three weeks ago, I resigned as editor of Pakistan's most influential English daily, the News. My proprietor had directed me to apologize to the chiefs of the Inter-Services Intelligence (ISI) for my decision to publish details of a confessional statement by Omar Saeed Sheikh, the prime suspect in the abduction and murder of Wall Street Journal reporter Daniel Pearl. I was the first local journalist Danny contacted last year when he arrived in Karachi to cover Pakistan, and America's war against terror, the latest dimension of which was seen in Sunday's attack on a church in Islamabad. Never lacking for audacity, the ISI first broke into our newsroom on Feb. 17 to detect our story on Sheikh, in which he linked the ISI directly to his involvement in last December's terrorist attacks on India's Parliament. With such embarrassing information coming from one of their own kind -- Sheikh had, after all, turned himself in for interrogation to his former ISI handler on Feb. 5, a week before Pakistan's president, Gen. Pervez Musharraf, visited Washington -- the regime's principal information officer called me at 1 a.m. and demanded I pull the piece. When his coercion failed, my proprietor in London was called. He tried to stop publication, but failed, and the next day the government pulled all its advertising -- accounting for over half our income -- in an effort to silence my paper completely. Then they asked the owner to sack me, as well as three other senior journalists. I resigned rather than be part of a conspiracy to mislead Pakistan's people. Fearing for my safety -- and with the Pearl case fresh in mind -- I chose to join my family in Virginia and live to fight another day. And fight we must. This media management is the first sign of where Gen. Musharraf's newly tactful ISI is headed. "Managing" politics and rigging October's elections are next on the agenda. There are signs that a political party is being put together to legitimize Gen. Musharraf as an all-powerful president, to stay in office well beyond any reasonable time-frame. The primary instrument of change in achieving this devil's pact is Gen. Musharraf's recasting of the ISI as a more docile institution, ostensibly purged of Islamist hard-liners and Taliban sympathizers. But buyers beware. Another intelligence disaster now looms. Its similarities to the Zia days are remarkable. Gen. Musharraf, the military dictator of the day, is the new darling of the West fighting the new enemy in Afghanistan. Billions of American taxpayer dollars are again set to flow. A beautiful facade has been crafted for external consumption, on everything from press freedoms and elections to a corruption-free economy and an Islamist-free state. The reality is harshly different. The ISI has been assigned the task of recruiting representatives for this effort. They are to cajole and coerce the press and politicians. Key leaders from the political parties of both former prime ministers -- Benazir Bhutto and Nawaz Sharif -- are being lined up for pre-approval. The Islamist role will be safeguarded by fundamentalist generals. A full dress rehearsal of this methodology was carried out during the recently concluded countrywide polls for mayors and deputy mayors. Every city, big or small, had a pre-selected mayor. In Pakistan's military stronghold, Rawalpindi, ISI interference in seating a pre-approved candidate was so blatant that the non-political but highly compliant chamber of commerce president was "elected" mayor against better-known political stalwarts. Pakistan has played crucial roles in two of the main victories of our era -- those over communism and terrorism. The first time, the West looked away while evil forces were born in our midst, destroying our culture and society. The moderate majority was silenced into submission until the world woke up on Sept. 11.